An island sanctuary for rare birds has been at the centre of a pest scare today. 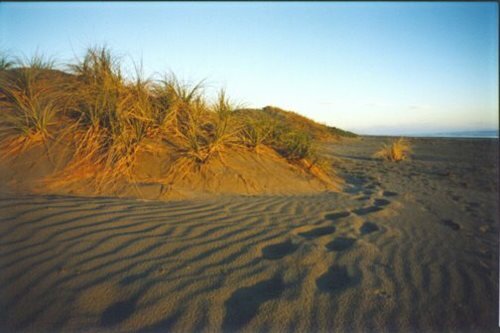 Motuihe Island in Auckland’s Hauraki Gulf has been rat-free for 15 years, but yesterday paw prints were found at several spots on the island. Jack the dog has been specially trained to smell a rat and today his senses were put to the test. Jack and his owner, Fin Buchanan, have been training for seven years for a day like today. But with a camera watching Jack’s every step, finding the Motuihe rat still looked like big weight to bear. 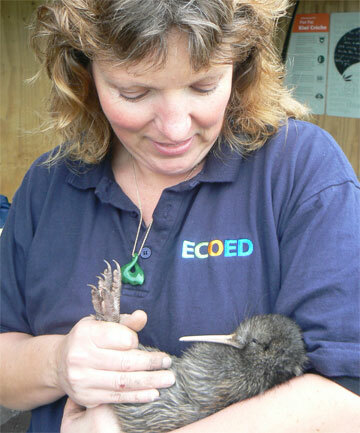 The rogue rat threatened the Department of Conservation’s million dollar plans to release kiwi and other rare birds on the island. The rat is thought to have come in off a boat and prints had been spotted in five of the island’s 45 tunnels, cunningly built to detect rat-steps. DoC staff like Mr Keeling had been setting traps through the night. “You live an adrenaline mode for the first ten days and then you start to get really tired,” Mr Keeling said. But it was not long before Jack found the elusive rodent. Close inspection showed the rat was a female. The Department of Conservation will now need to check for signs whether she has ever had babies. And if that is the case, Jack could be making a return trip to the sanctuary. Native birds and bush in Long Gully, near the Karori Wildlife Sanctuary, will benefit from a possum and rat control operation which begins on Monday 8 October 2007. The operation is part of an ongoing programme to keep possum and rat numbers at low levels. Long Gully is a strip of bush that includes some private land owners and Wellington Natural Heritage Trust land. It is situated between the suburbs of Karori and Brooklyn and is adjacent to the Karori Wildlife Sanctuary. Control will be carried out in areas of bush and scrub.